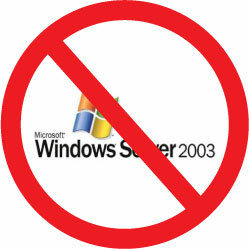 What Does the End of Windows Server 2003 Support Mean to You? While Microsoft has announced that after July 14, 2015, Windows Server 2003 will no longer be supported, many of you aren’t ready to change your OS yet. Knowing this, UltraBac Software has planned for those customers with older operating systems, those who are current, and those looking into the future. Recently released UltraBac v9.5 still supports Windows Server 2003. Our subsequent release UltraBac v10, which will provide backup to the Cloud, will also support 2003. Version 10 will be the last to do so, but this gives you plenty of time to make a change when you are ready and have the budget. So whether you use the latest operating system, or an old one you feel comfortable with, the latest UltraBac features and functionality will still be available to you. If you decide that now is the time to move to Windows Server 2012 R2, then you can use our software to help you during the migration to the new OS. Also, see how you can continue to safely use your 2003 server, and how to protect it as well as your current Windows OS servers with one software. To learn more download our free white paper.